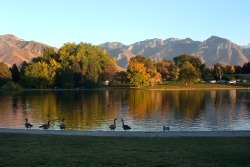 Sugar House Park is the heart of Sugar House and is an active park for our community. It is 110 acres of green hills, trails, ponds, waterways, playgrounds, scenery and much more. During the summer months Sugar House Park is hosting a walk or run every weekend and bustling with many more activities. This is a great place to exercise, fly kites, feed the birds. The park is open daily in the summer from 7:00 a.m. to 10:00 p.m. and in the winter from 7:00 a.m. to 9:00 p.m.
play in the creek, watch children on the playground, enjoy a game of soccer or baseball. Check the park website to stay up to date on events being held in the park and for more information on pavilion rental, etc. 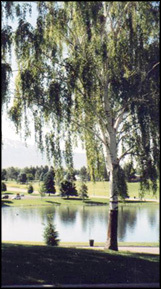 Most residents know that Sugar House Park and Highland High was home to the Utah State Prison. Built in the 1880’s it served the state until 1951 when the current location in Draper opened. 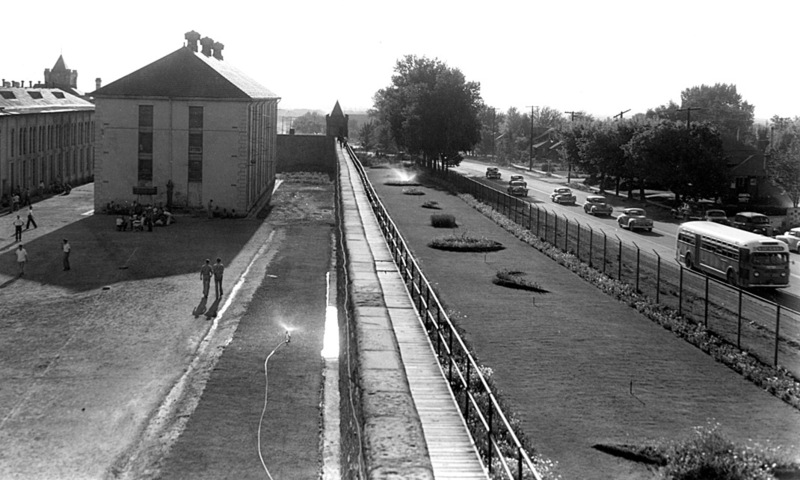 The old prison was demolished by 1955 and the graveyard moved to Draper. As construction moved forward for The Draw Tunnel under 1300 East to connect Hidden Hollow and Sugar House Park it became apparent to engineers that much of the prison rubble had been thrown into a ravine and 1300 East built on top of it. 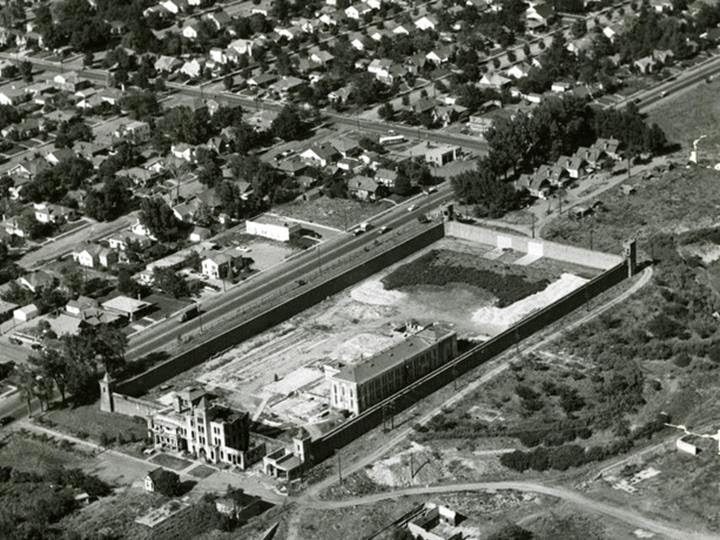 The photos of the old prison location are found at the Utah Historical Society and Sprague Library.